high performance technology at Sign& Digital UK. New larger Roland VersaUV LEF-20 desktop flatbed UV printer Roland DG UK has announced that it is preparing for its busiest and most exciting Sign & Digital UK yet. The company confirmed it will be showing the widest selection of machines ever demonstrated at the show, including the recently launched VersaUV LEF-20 and LEJ-640F flatbed printers. To add a bit of spice to the event, it is also offering the opportunity for companies to win a Roland printer in the Sign & Digital prize draw as well as offering visitors a chance to experience the hospitality in its Roland café (stand G30). The Company added that first in the line-up is what it terms the “magical” VersaUV LEF-20, its biggest and fastest desktop UV machine to date. Roland said it offers sign makers and graphics producers the opportunity to diversify their business and target new markets. The LEF-20 can be used to turn an extensive range of objects including promotional items, novelty gifts, souvenirs, awards, USB sticks and phone cases into highly profitable, creative and personalised items, as well as enabling users to produce small-scale signage. Throughout the course of the show, Roland Academy & Creative Centre Manager, Joe Wigzell, will be running live boot camp sessions on the stand using the LEF-20 and inviting users to see for themselves the versatility of the machine. Roland LEJ-640FPlus, Roland DG will soon be confirming the presence of an extra-special mystery guest on the stand who will add a little more magical mystery to proceedings. 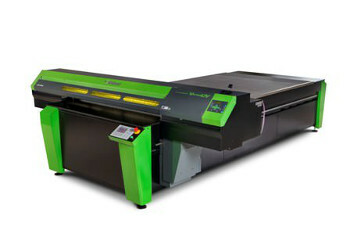 The second show debutant will be the VersaUV LEJ-640F flatbed printer, Roland DG’s first wide format flatbed printer. Offering a print area of 1600 x 2500mm wide, and 150mm in height, it’s designed to provide printers and sign makers with the opportunity to create a large range of POS displays, packaging prototypes, outdoor and indoor signage. In conjunction with these printers, Roland will also be showcasing the VersaCAMM VS-i series, the latest addition to this popular printer/cutter range. Plus, this year the stand will also see the return of ‘The Beast’, Roland DG’s fastest printer - the SOLJET PRO4 XF-640 - which had a successful UK debut at Sign & Digital UK in 2013. ‘The Beast’ will be sitting alongside its cousin, the SOLJET PRO4 XR-640, Roland DG's flagship (and fastest) print & cut machine. Also featured on the stand will be the VersaART RE-640, Roland DG’s popular four-colour 64 inch wide format inkjet printer. 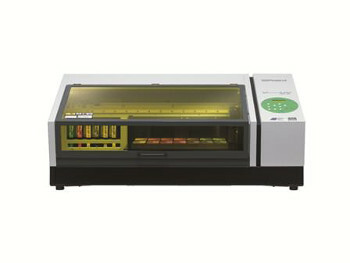 Companies visiting the show will have the opportunity to win an RE-640 in the Sign & Digital prize draw.